This statistic presents the total contribution of travel and tourism to GDP in Europe from 2012 to 2018, with a forecast for 2028. 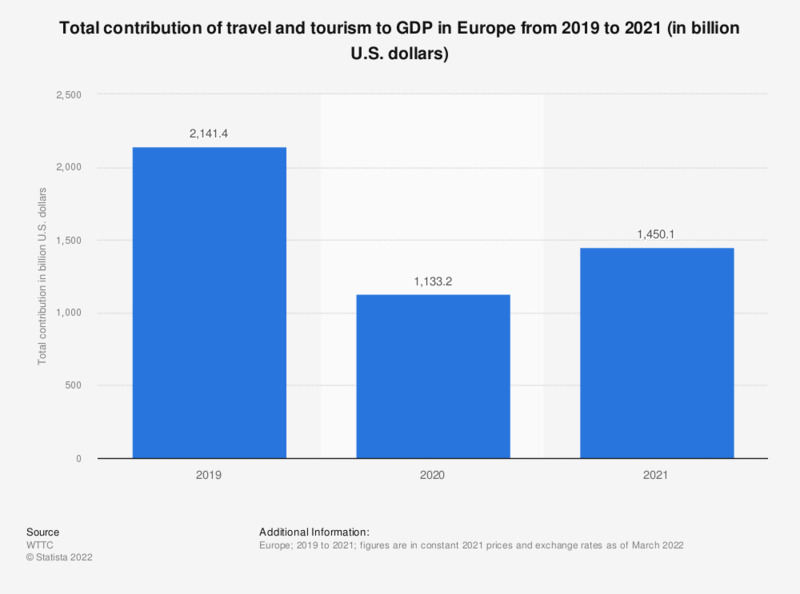 Over this period, the contribution of the travel and tourism industry to GDP in Europe has increased, reaching around 2,099 billion US Dollar in 2017. * Based on real 2017 prices. Everything On "Travel and tourism in Europe" in One Document: Edited and Divided into Handy Chapters. Including Detailed References. Statistics on "Travel and tourism in Europe"
Does your government support your tourism industry?